Maybe it’s all that running he did earlier in the season – efforts which have reportedly earned him an invite to take part in a 10km run in Barcelona. 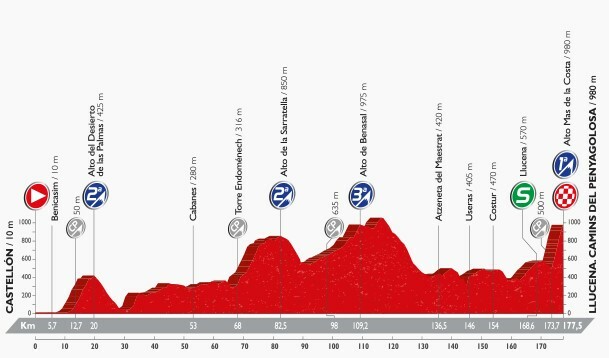 The final climb of stage 17 was a proper almost-come-to-a-standstill Vuelta climb. The overall contenders maintained an impressive pace up there and while the main four – Nairo Quintana, Chris Froome, Esteban Chaves and Alberto Contador – technically all finished together, it really did look like this had cost Froome a lot more energy than his rivals. If you watch the Vuelta each year, you’re by now used to seeing the King of Elbows disappear on the final climb before looming back into view as he ramps up his effort towards the finish. This seemed different. The first time he disappeared, he closed the gap impressively. The second time, he seemed to be distanced all too easily and it looked like it took every last drop of effort to catch up again right on the line. It was a little like Froome sprinted madly to finish at the same moment as a trio who were gliding in having accepted nothing much of significance was going to happen. Three poker faces and a dribbling, panting Froomedog. Mathias Frank took the stage from the break. We’ve had some unfamiliar names crossing the line first during this race, but Frank came eighth in the Tour de France last year. He edged out Leopold Konig – seventh in the 2014 Tour and sixth in last year’s Giro; and Robert Gesink – twice a top ten finisher at the Tour and three times a top ten finisher in this race. 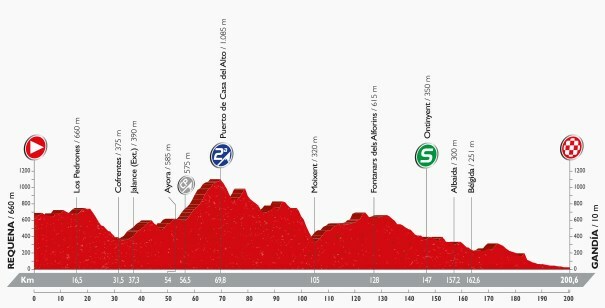 Only the stronger riders are surviving in the mountain stage breaks by this point in a Grand Tour. There really aren’t enough people who want sprint finishes in the race to ensure the sprint finish that you’d imagine this would be. Maybe it’ll happen naturally or maybe it’ll be another breakaway winner. We *shouldn’t* get gaps between the main contenders though – not least because everyone will be saving their strength for tomorrow’s time trial.